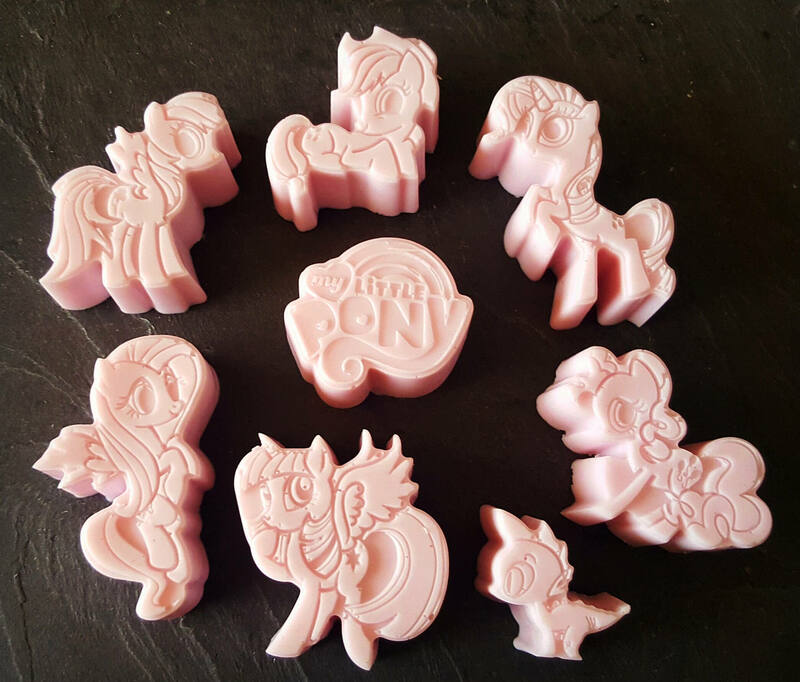 This is a set of 8 small my little pony shaped handmade soap. The fragrance is bubblegum (Pink) for the pictured soap. 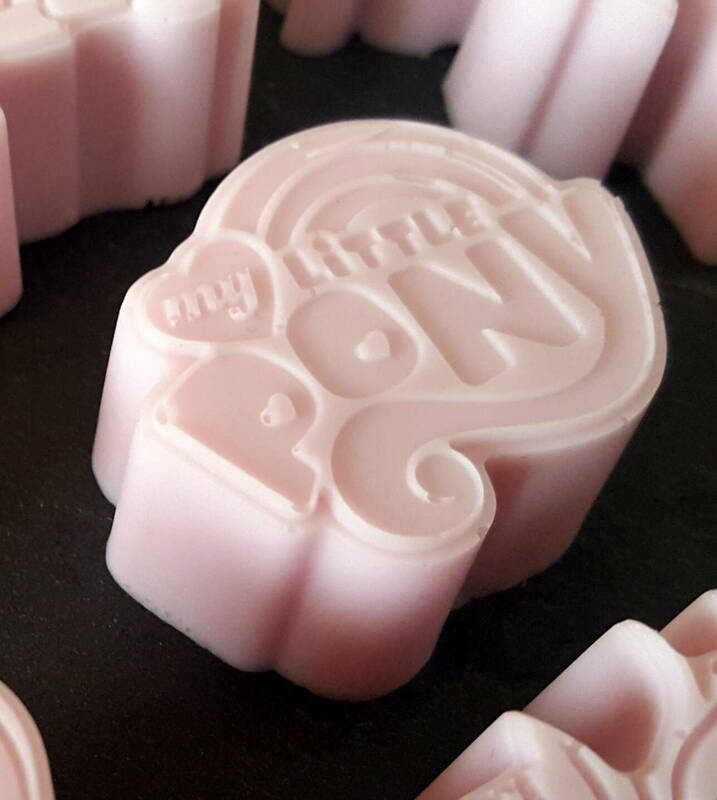 These little soaps will have your little girl looking forward to bath time, and washing her hands every time she gets a chance. The photo is of an actual set. They are individually wrapped in one box. Great for a gift or can be used for party favors.